Tickets are: $20.00 advance (with $4.10 in fees), $22.00 day of online (with fees), $24.00 at door in cash (if credit fees are applicable). There may also be a $1.00 handling fee as well. Seating is General Admission, is limited and is based on a first come first serve basis. 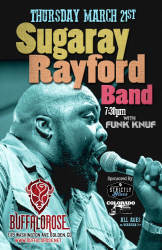 This is one show NOT to miss at The Buffalo Rose this year. 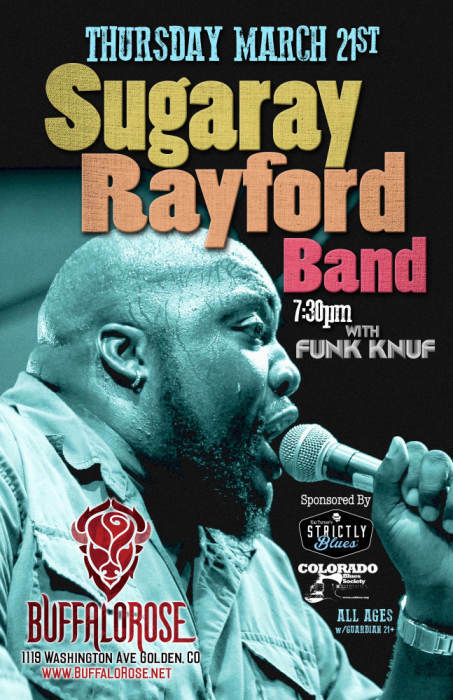 Sugaray Rayford rarely makes it out this way...so don't miss it! 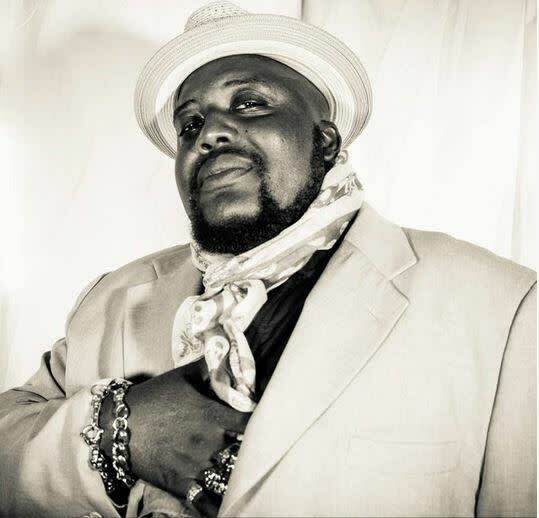 He has a 9 piece band who will blow your mind! Join us for a night of sure to be unforgettable music!